This is a 0.30-06 with a Springfield rifle produced kerosene lighter , brass shell casings , a bullet is very classic , now converted into a cigarette lighter. Unscrew the warhead can ignition, and the ignition hole at the betting ring has almost no volatile . Oiling can be used for a long time . Part connections using solder containing 4% silver soldering . Try to keep the full effect of the design ideas bullets . Screws can be stored within the cartridge case at the bottom of a spare flint , outside the hole with a hole as a pendant . Kerosene supplies , matchlock , flint and zippo common , easy to recharge . Related Information: Springfield company to be in the original 0.30-03 bullets based on the improved launch the missile in 1906 , as a Springfield M1903 rifle bullet format . 0.30-06 rifle was equipped for the U.S. Springfield rifle , Browning M1917 type , M1919 machine guns and automatic rifles M1 Garand ; British勃朗宁坦克machine guns and air guns , etc. ; sporting rifle launch the missile is also quite common. 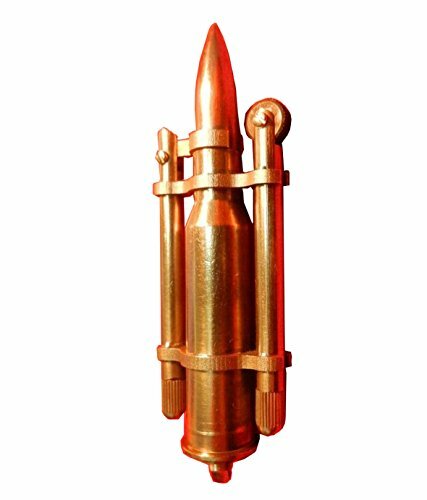 In addition , Austria, Belgium , Brazil, Finland , France, Germany, Greece , Hungary, Israel, South Africa , South Korea, Sweden , Britain and other countries also produce this bullet . If you have any questions about this product by TELAM, contact us by completing and submitting the form below. If you are looking for a specif part number, please include it with your message.